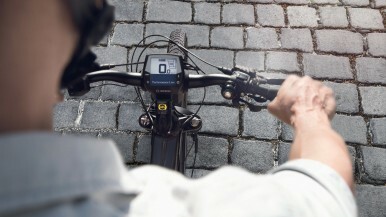 Stuttgart/Reutlingen – For 2019 models, Bosch eBike Systems introduces Kiox, an on-board computer specially developed for the needs of ambitious riders. 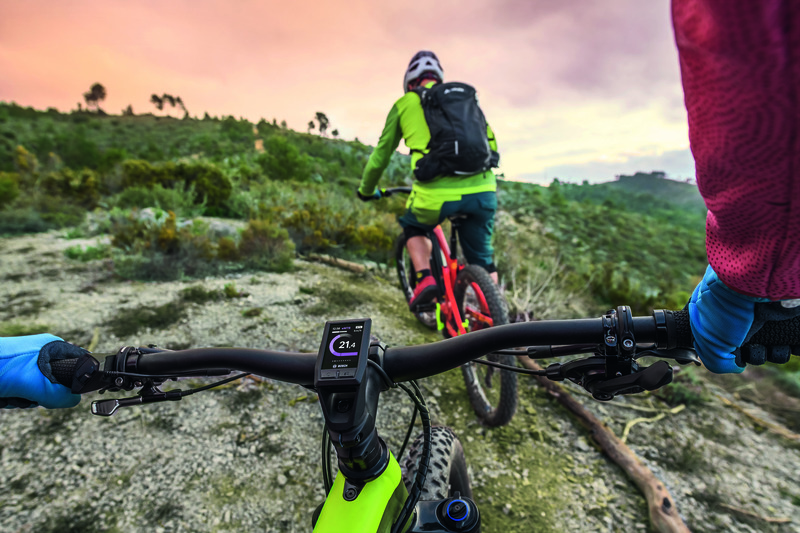 The small and robust colour display is controlled by a separate control unit on the handlebar and provides the eBiker with data on speed, personal performance and cadence or battery charge status. In addition, the on-board computer can be combined with an optional heart rate monitor, allowing eBikers to train in the best possible way. More connectivity functions will follow. "Athletic eBikers prefer an uncluttered handlebar so that they can concentrate on the essentials: the tour, the flow, the eBiking. 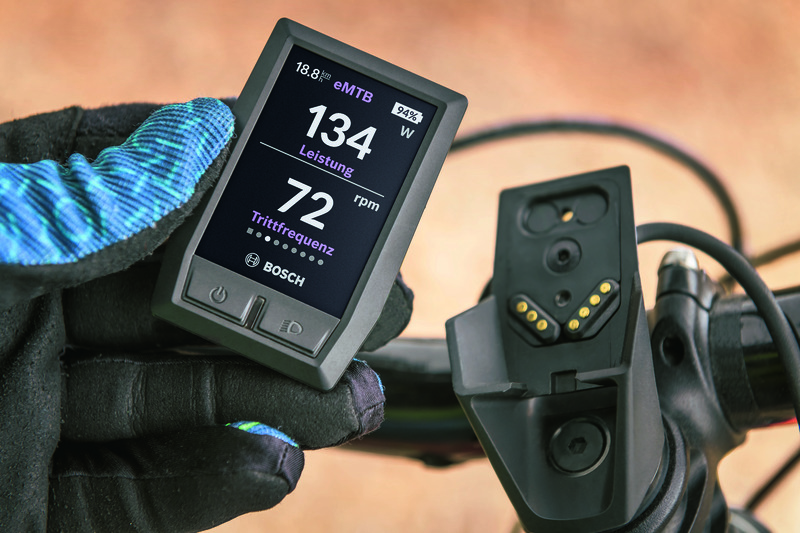 We're starting here with our new on-board computer Kiox", says Claus Fleischer, Managing Director of Bosch eBike Systems. 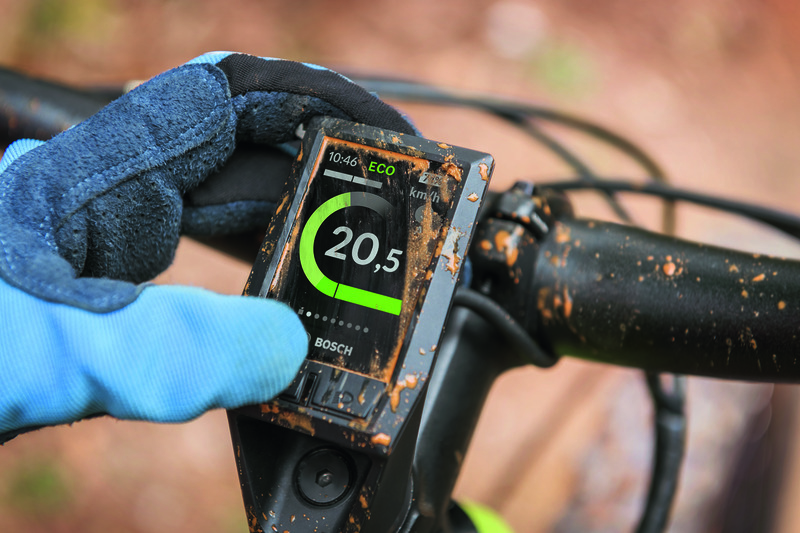 Bicycle manufacturers can choose to install the compact and handy display with the Bosch mount or integrate it practically into the handlebar stem by means of custom solutions. This leads to different design variants as well as a minimalistic eBike look. Kiox impresses with its clean appearance, vibrant colour scheme and clearly structured user interface. 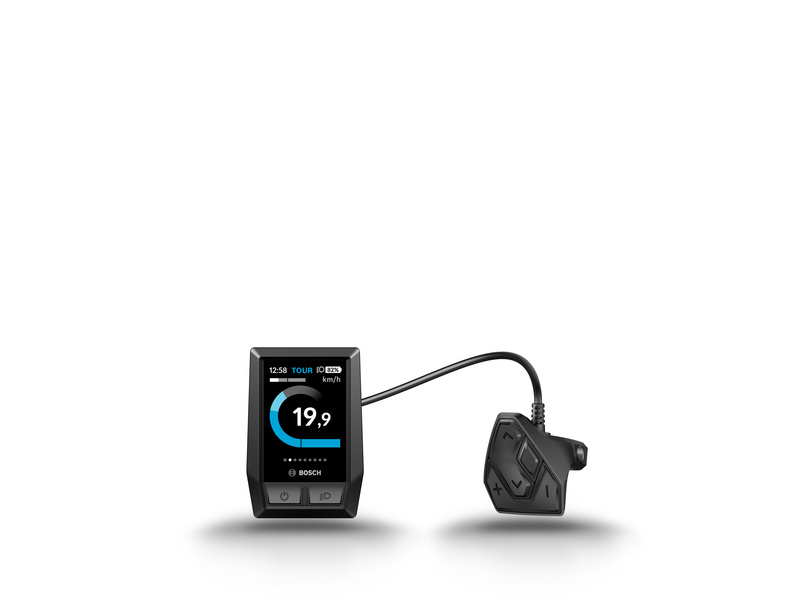 eBikers can quickly check relevant data such as speed, support mode, mileage and battery charge level. Another highlight: the display lighting. It automatically adapts to the surroundings. The 1.9" high-resolution colour display is perfectly readable even in direct sunlight and in the dark. The central position on the handlebar stem provides an ideal reading angle. Robust gorilla glass protects the display against scratching and other damage. The magnetic holder provides a secure grip and allows easy removal and attachment of the on-board computer. The integrated display battery provides up to 20 minutes of power in the off-board mode and displays a summary of the day's activities. The on-board computer is controlled by the separate Remote Compact control unit on the handlebar. The clearly palpable pressure from the buttons gives the eBiker clear feedback – easy, safe, intuitive. Kiox supports eBikers wishing to improve their fitness. 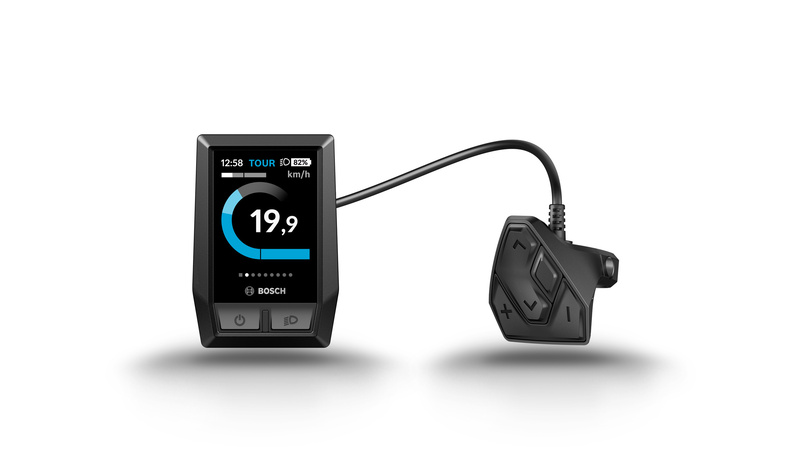 The on-board computer notifies eBikers whether they are going above or below the average speed, motivating them to perform better. With an optimal Bluetooth-connected heart rate monitor, Kiox users can check their current pulse range at all times, enabling them to get the most out of their training. The Bluetooth low-energy interface also allows users to download Kiox software updates to the on-board computer without requiring a cable connection. The future will see even further functions connecting eBikers to the new on-board computer.